What Is A TS File & How To Convert It? File formats are one of the most common properties that let you distinguish between file types and check their compatibility even. Video files come in various formats like MP4, AVI, MKV, FLV, MOV, WMV etc. All these format types have compatibility with specific devices and thus, they can be played properly on supported devices only. One of the lesser known file formats is the TS, which is generally to store audio, video, and data on the Blu-ray discs. This file format is most non-playable on mobile phones and other portable devices, which is why people often ask questions about the ways to play these files on mobile devices. How To Make TS Files Playable On Mobile Devices? Download, install and launch a video encoder or conversion software on your Windows or Mac computer system. Add the TS file by clicking on the ‘add media’ button & then ‘add video’ option. This will open a browsing window for you to browse, find and select the desired video file. After that, you will need to select the file format of the video file to be converted. You can choose from various presets available for formats such as AVI, MKV, MPG, and WMV or a DVD compatible format. You can also save the file in audio format if you want by choosing from various popular formats like mp3, wma, wav etc. Then you will need to choose the output folder where the resulting file will be stored and after that, you need to click on ‘Convert’ button to begin the conversion process. After the process is complete, you can check the converted file and put it on your mobile phone to watch it anytime. Why A Video Converter Is A Great Tool? We usually have a lot of videos stored on our computers or mobile phones. These might be small clips shared by friends, video lectures, informative videos, TV series episodes or full movies. Sometimes these videos are either non-compatible with our mobile phones or are too big in memory size. In such kind of situations, video conversion software is the best tool that you could have asked for. This software is basically designed to not only change the file formats of video files while preserving their quality but also to compress the size of these files. You can easily find the right video converter by check user reviews and ratings online and download the one that offers the right features, functionality, and efficiency. 2018 Holiday Season Gift Guide Kick Off! Now is the time to start the holiday shopping for the 2018 season! I always like to try and be done before Thanksgiving that way we van enjoy the holidays and get to relax. At Media Mikes, we try to find the newest and coolest items to help you get the best gifts during the holiday season. 2018 is shaping up to be one of our busiest years to date with product coverage. Check out below for just a few of the must-own products this year! One of this year’s top items to keep an eye out for would be the MIQRO vaporizer. Da Vinci has already delivered amazing products and the MIQRO has an all zirconium ceramic vapor path and mouthpiece which allows you to draw the purest vapor you’ll ever taste in a vaporizer. 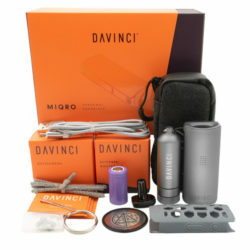 What makes Da Vinci stand out is that these vaporizers they stand behind their legacy on perfecting the purest flavor. This vaporizer is 33% smaller than its predecessor and with a fully functional adjustable oven, this small vaporizer is sleek and simple! While you are using your amazing MIQRO, would better way to relax than to kick back with a screening of “The Big Lebowski”. Well, get ready for this holiday season because there is an amazing 20th Anniversary Limited Edition debuting for the first time ever on 4K Ultra Combo Pack that also includes Blu-ray™ and Digital via the digital movie app Movie Anywhere on October 16, 2018, from Universal Pictures Home Entertainment. The Big Lebowski 20th Anniversary Limited Edition is the perfect gift for any fan and the exclusive set includes a collectible bag, bowling ball pencil holder, polishing cloth and sweater packaging offering delivering the perfect gift for any fan. Now if you want to win the holiday season, head over to Forever Collectibles (FOCO) because they just released their first series of Bluetooth enabled ugly Christmas sweaters… That’s right I said, Bluetooth Ugly Christmas Sweater.Now if a sports fan, get ready to make that purchase because the time is now! The officially-licensed knitted NFL team light-up Bluetooth sweaters for the 2018 holiday season are a must have for all sports fans there are a ton of amazing professional and collegiate sports to choose from. I know the point of the “ugly sweaters” is to be ugly but these shirts look amazing as well as add a little extra cheese factor. The Bluetooth lighting is an amazing addition to the ugly sweater tradition. You are able to display blinking lights on front so you can light up the room and keep the party going all night! Since the season is just starting off, this piece is only the beginning for us here at Media Mikes, we will have many more gift guides for you to check out this holiday season. Don’t get caught out of time and without a gift. Hopefully this gift guide allows you to get a jump on the shopping this year and makes your loved ones very happy in return! If the Prohibited 5th Degree looks familiar to you that is because you might have seen it before. VMR Products recently re-branded its V2 Pro Series 7 with a concentrates cartridge instead of a liquid cartridge. The product comes in a ton of new very snazzy colors such as bone (white), jade (teal), struck (purple) and singed (black). 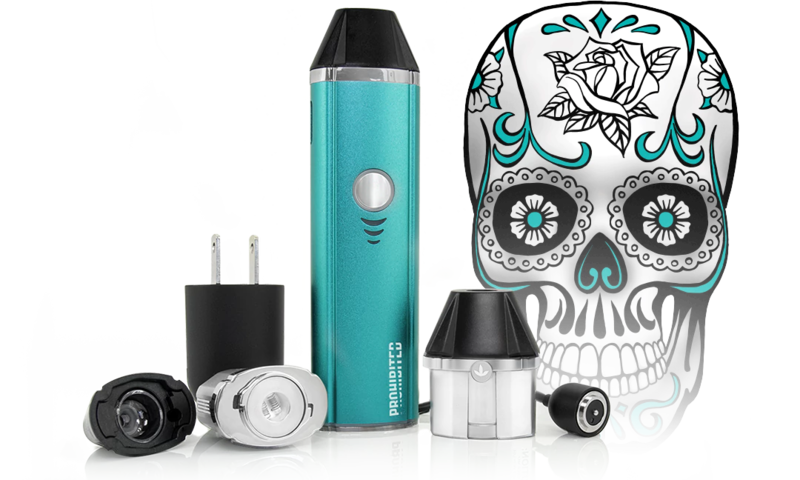 I have used the Series 7 in the past and it was always my favorite vaporizer on the market…and trust me I tried them all. The Prohibited 5th Degree Vaporizer does it all! Out of the box, you can used this multi-function device to either vaporize dry herb or concentrates by simply swampping out the magnetic drop-in cartridges. I honestly love these magnetic connectors cartridges. It makes it so easy to swap out cartridges. The 5th Degree Kit comes stocked with one cartridge for dry herb and one for concentrates and a recessed chamber for cartridges that eliminates the risk of leaks or breaks. The Dry Herb Cartridge boasts the fact that it features “the fastest heat up time of any vaporizer”. It is fairly quick for sure. The multiple clicking every time to get into the modes is a little annoying I have to admit but I have been using it for a while and it almost feels natural after awhile. The Concentrates Cartridge can used for shatter, wax, oil, and other similar concentrates. The heater featured has a Dual-Quartz and Titanium heater to produce the thickest and smoothest vapor. Even though I mention that the multiple clicks get annoying but what doesn’t get annoying is the smart technology this devices uses that recognizes each type of cartridge automatically and then heats to optimal vaporizing temperature without guessing. You get three different temperature settings that allow you adjust for yourself. Dry Herb and Consentrates not enough? You can easily uprade your Prohibited 5th Degree Vaporizer with an optional Dabber and E-Rig Concentrates cartridges. There is no literally no contest with this product. You can compare it to other devices like PAX 3, Firefly 2, DaVinci IQ, Dr. Dabber Boost and Dipper and it comes out on top every time! So the rebranding from the Series 7 may not be drastic besides its cartridge inclusion but it is still no question my go-to vaporizer. Las Vegas, NV — January 3, 2017 – OjO Commuter Scooter™, the ultimate two-wheel smart scooter from OjO Electric, will debut at CES® 2017 followed by a retail launch later in the month. OjO is a bike lane-friendly, zero emissions, clean fun ride for adults. It quickly accelerates up to 20 MPH and goes the distance of 25 miles on a single charge. Whether commuting or just enjoying a leisurely ride, OjO will forever change the way people travel from place to place. This “smart” scooter incorporates the latest in smart technology with a sleek, patented ergonomic design, HyperGear motor and gear system to power up hills. Unlike other scooters on the market, OjO supports an incredible 300+ pound weight capacity with its unique heavy gauge all-welded aluminum chassis. Combined with the other best-in-class luxuries, these traits make the OjO amazingly stable, fun, smooth and easily maneuverable. The OjO Commuter Scooter complies with the same rules and guidelines as the electric bicycle market, requiring no license. With the rapid growth of bike lane infrastructures throughout the USA and the world, OjO Commuter Scooter offers the perfect solution. OjO Electric will showcase the OjO Commuter Scooter at Pepcom and Showstoppers media previews in addition to CES (Central Plaza – 23), beginning January 4th. Watch the OjO in action HERE. The zero-emission scooter is equipped with state-of-the-art battery technology and features a patented on-board charger with retractable cord and plug, affording riders the ability to charge at any standard 110V wall outlet. There is no need to lug a charger or endure distance anxiety worrying about getting home to charge. A 500-watt HyperGear motor and geared system provides more torque and increases power for climbing hills up to 15%+ grades, providing for an all-around better and more versatile riding experience. A heavy gauge all-welded aluminum under chassis provides maximum durability, maneuverability, strength and stability. Three speed modes provide comfort levels for any rider: Eco Mode for beginners, Touring Mode to maximize distance and Sport Mode for peak performance. An interactive, non-glare touchscreen allows the rider to choose speed, review current and historical distance, control lighting and sound and more. The OjO’s extras include dual integrated waterproof bluetooth speakers, voice response system, LED front and rear lights, a USB port for charging phone, a motion activated alarm, wireless key fob and a patented removable seat system that converts the scooter into a stand up only experience. The OjO’s treaded, non-slip deck and specially designed adjustable seat provide for ease of use in any position. There is a convenient, optional sleek rear basket accessory for any items riders need to carry. OjO is available in seven colors: bright white, matte black, skyblue, rose gold, matte graphite, vibrant orange and a street art style. Priced at $1,999.99, OjO will be available in January on Amazon.com and later this Spring at BestBuy. The OjO was conceived in early 2014 by a group of well-seasoned inventors and entrepreneurs in Santa Monica, California who put their energies together to create a new form of sustainable transportation for the bike lane. OjO Electric is dedicated to delivering unparalleled quality, luxury, and fun while earning the highest level of customer satisfaction and loyalty. The OjO revolution, “the rebirth of transportation for a better planet.” Take a look at the OjO in action HERE. For more information visit https://www.ojoscooter.com; and follow on Facebook, Twitter and Instagram. Having Owned several drones and RC toys in my past I would best describe as a very suitable pick-up and fly mini drone. Parrot Did a great job on this drone of making it user friendly to the point of pairing it to your phone and in 3 seconds your flying around with ease. Now while the Parrot Mambo is close to your typical quadcopter drone, Parrot made sure to tuck in a few extra goodies to make it an even better buy at the under $150 range. As parrot continues to push it affordable line of drones with the Mambo (seeing as how other drones can run 300 and up). Coming in at only 15cm the parrot Mambo pack a lot of power in a little frame. The body is made to withstand some punishment (the average user would see a long life form the drone) while Parrot included the options for guards or no guards (hull) to keep the weary mind at bay. I even noticed during prolonged use that I hit a wall and bent one propeller but thanks to the materials used by Parrot the blades damage almost fixed itself as if it never happened (may just be a one instance thing but the strength of the blades on the propellers seem stronger than the normal). When it comes to flight you’ll notice right away that the Mambo is easy to control for even the newest drone users. The Mobile app used to fly the drone come pre-programmed with a handful of flight maneuvers for your Mambo to do with just a push and even just sitting around and trying to do trick over stuff can be extremely entertaining. Now while I’d like to see more out of the battery life it excusable seeing how much power this little guy put’s out. Also Parrot includes a pair of batteries to switch out for longer flights. But extra batteries can always be purchased. The 9 minutes of flying time per charge may not seem like much at first but when you compare that to other mini-drone’s it stacks up pretty good and even gives you enough time to really enjoy what its capable of before it comes time to charge up again. The extra fun comes with the Mambas add-ons that Parrot included and even featured in their video demo station on their site. With the Cannon it was very surprising to see the amount of force that it can produce fun for an obstacle course. Followed by using the Arm attachment to garb little things and carry them to you drones next destination (like say your spare battery.. just joking). So for those who are looking to have a little bit of fun with their new purchase they’ll find that the Mambo has some interesting features which you will not find on your typical drone for a very affordable price. Razer has consistently been one of the biggest names in the world when it comes to gaming, they’ve developed all types of award-winning products throughout the years, such as their mechanical keyboards, gaming headsets, mice and more. Having always been a company that pushes innovation in their designs. Normally, you choose a rubber dome membrane keyboard for comfort, while mechanical switches are usually favored for precise and fast response with distinct tactile feedback. The Razer Mecha-Membrane of the Ornata chroma uses a unique mid-height keycap hybrid that delivers a level of efficiency and comfortability unlike any key type on the market. Anti-ghosting capability for up to 10 simultaneous key presses. Additional features include macro recording, adjust brightness, and a Gaming mode toggle that allows users to press up to 10 keys simultaneously during gameplay. The Razer Ornata brings a great balance between a gaming and work device. Its complete design is subtle and sleek, without an abundance of bright logos or visual cues that emphasize it’s a gaming keyboard. Razer has delivered and deserves credit for bringing a new style of keyboard to the forefront, we can expect there to be many imitations to come. IN the end though the Ornata’s comfort and performance are simply unbeatable. Product Feature: What’s the Smartest Newest Smartphone? Turtle Beach is a brand that’s long been in the headset game, and they have had their fair share of competition. The Turtle Beach Elite Pro Tournament headset, as its name suggests, targets gamers who aim to play at a professional level. This Headset is uses a strong frame of metal, that encompasses most of the headset. Though the usual areas still have other parts such as the ear cup covers. But overall at first glance it seems to be a headset meant to survive consistent use. A feature that I truly appreciated was the ability to pop off the ear cushions and with the flip of a switch cause an indent in them that’s designed to allow glasses to be worn comfortably with the headset. This actually removed pressure, where other headsets would create after long use. During gaming the headset sounds great at any rate, personally I would have like some more on the low ends but with its design offering impressive noise cancelling that helps to make its output more impressive. And the clarity of the mic paired with the TAC create clear precise audio for you and your team. The Elite package comes with the Tactical Audio Controller (TAC) which adds even more options by using a Powered mixer. The TAC headset offers simulated 7.1 surround sound through 16 surround sound presets. If you’re an upcoming eSports star, the Elite Pro headset is slowing making its way up to the standard for audio. Now the Price tag is on the high end but a lower price would mean losing out on features. Final verdict is that with a little lower price it could be the Must-Have for the year. The time we are living in that we needs thinks faster than fast! I have always had issues with my WiFi in my various houses…that is until I came across the Netgear X10! This router is easily the best that I have EVER come across. Something that is very important to me is media streaming, and this device does that and also works with Plex! Dream come true! The X10 has been called the “Industry’s fastest router for media streaming with Plex media server”. It is not lying! The X10 packs 802.11ac and 802.11ad WiFi technology and delivers beautifully reliable 4K streaming. 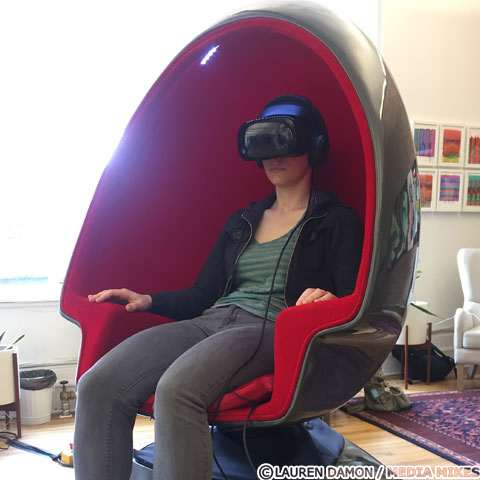 It is also geared toward VR gaming (personally, haven’t taken that VR plunge yet). If you are looking for the perfect solution to give you perfect WiFi in your home, look no further! 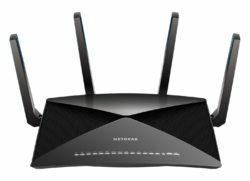 Time for the specs, the Netgear Nighthawk X10 Smart WiFi Router includes a powerful 1.7GHz Quad-Core Processor and Quad-Stream architecture, which allows the ability of wireless speeds of up to 7.2Gbps and MU-MIMO which supports simultaneous streaming, while 160 MHz doubles WiFi speeds to mobile devices. It also includes 11ad which is stated to be 3X faster than 11ac. The reason we are able to experience these unimaginable wireless speeds is due to the four external active antennas that amplify WiFi signals in order to maximize range and throughput. The X10 also support some important features that had me drooling. First up is that the device can be used as a Plex Media Server. Seriously? I don’t need to use my computer anymore?! Where do I sign up! Also another tool that I actually use is the Amazon Drive Cloud Backup and the X10 also supports and works well if it. Both of these features are just icing on the cake. This device is also extremely easy to setup and use. Totally easy setup and user friendly. Even though this device might be a little bit pricey, you will realize that this is actually worth every penny. I honestly, have no idea how Netgear is going to top the X10 in the future. If you are a homeowner, security is always an important issue. If you are looking to get coverage of your home and not spend thousands of dollars. The Nest Cam Outdoor Security Camera. This new camera always you to have 24/7 live video with a 130° wide-angle view with an all-glass lens that will allow you to view your home in 1080p HD all day and night right from your phone. I am not an electrician or a handyman around the house but this is extremely easy to install and get yourself protected. Just mount the camera and go. Besides just being a neat looking camera, the Nest Cam Outdoor allows you to get alerts and snapshots to your phone or email with a photo of the event. Since it is outdoor but rest assured, this product is weatherproof so rain and shine, this bad boy will work! You are also able to listen and talk back with the built-in speaker and microphone through the app. With the holiday season coming around quickly, this is a great gift for friends and family and very reasonable priced also. The Nest Cam Outdoor also offers Nest Aware, which allows for continuous cloud recording as well as the ability to create activity zones for more precise alerts. And you even get a trial of this with your purchase. If you are looking to compare this product to other cameras, you will find that most other outdoor cameras will have limited streaming compatibility since they most rely on battery power. Some also have local storage, so if the camera is stolen the footage is gone also. Our neighborhood recently had issues with bicycles being taken right from in front of their house and this could have been avoided or at least captured with the assistance of a outdoor camera like Nest. Before coming to the conclusion of the Nest Cam Outdoor, I have tried numerous other products in Ring Doorbell and I have never had such an easy time overall from the moment I opened the box until it was fully operational. I wish it could always be this issue with these products. I am also a big user of the Amazon Echo for voice activation and since it is already working with Nest’s other product it might not be before long that we would be able to interact with the Nest Cam as well. Highly recommend this for this holiday season. I have a feeling that it is going to be a hot item for sure.